Just before Christmas the Wilbur and Niso Smith Foundation made a donation to FunDza to provide 175 books that would get teens loving reading and books. 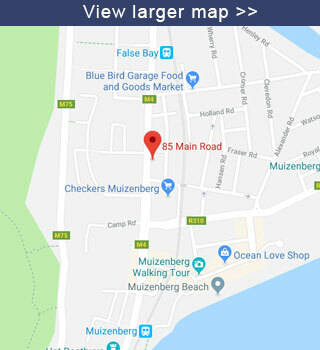 After much discussion, FunDza thought the best use of this generous donation would be to provide the busy but often under-resourced libraries of Nyanga and Langa with the sets of its exciting books, designed to get teens reading for pleasure. 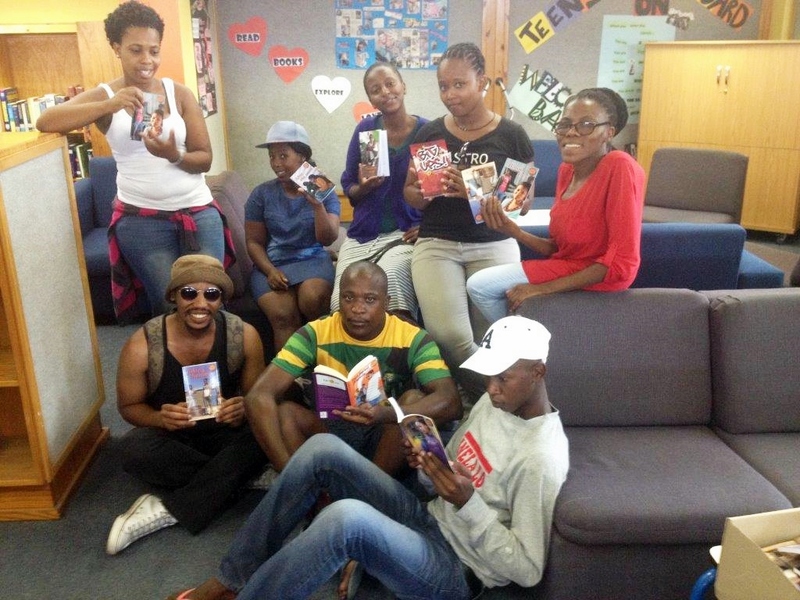 Nyanga Library received 87 and Langa Library 88 of FunDza’s titles from the hugely popular Harmony High series and the Big Ups! anthologies of short stories that have been captivating readers. In January, FunDza staff visited the two libraries to hand over the books. It was rewarding to meet both the young readers and librarians. Sophie Mahuzie, the senior librarian at Nyanga, is a real firecracker whose passion for reading and for her community shines through in all corners of the library. In the children’s section there is a toy library and on Saturdays mornings the library hosts documentary and movie screenings. The teen corner – the new home for the donated books – looks inviting with comfortable couches on which teens can share ideas and work together on projects. Sophie believes that strong community involvement in the library is the key ingredient in ensuring that the space is used and looked after. To this end she also started a garden so that children and the youth know where food comes from. On Nelson Mandela Day they get to plant their own vegetables in the garden. In addition, she is teaming up with organisations like Libromat to cater to the community’s needs. Libromat is a training programme in early childhood education for parents and other carers in ‘dialogic picture book sharing’ with young children while they wait for their washing to be done. She says that she’s keen to try anything that will involve the community in the library and keep young people engaged, rather than being enticed into a life of crime. At Langa Library the books were received by Senior Librarian Nomalinge Siyotula who extended her heartfelt gratitude on behalf of the community. When we arrived, younger children were sitting quietly in the storytelling section, older children were in the teens section, while some elders were reading their newspapers in the adult section. “We’re so grateful to FunDza and the Wilbur and Niso Smith Foundation for choosing our library. These books won’t just stay in the shelves, we’ll ensure that they’re are available for booking out as soon as possible,” said Miss Siyotula. She said she hoped the books would inspire reluctant teen and young adult readers to read more. We know that this donation will add value to these communities, as the books – with titles like Too young to die, Sugar Daddy and From boys to men – are relevant to the lives of South African youth, specifically those from under-resourced communities. Thank you to the Wilbur and Niso Smith Foundation for a generous start to the year.